The Annual General Shareholders’ Meeting represents all shareholders and exercises the functions assigned to it as governing body of the Company. Its resolutions, adopted in accordance with applicable regulations, are binding on all shareholders. 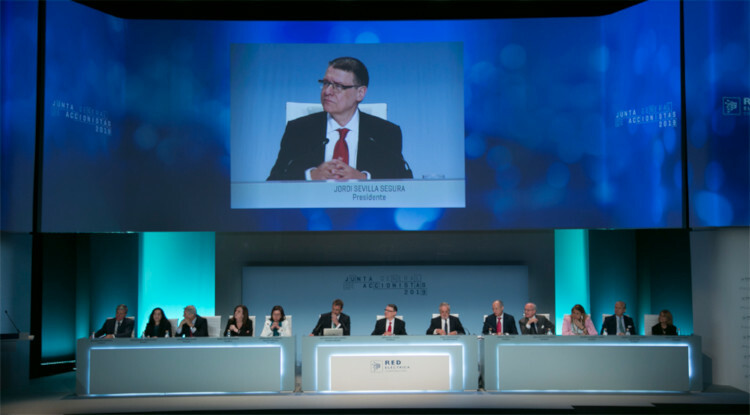 The rules of the organisation and functioning of the General Meeting are set out in the Corporate Bylaws – Articles 11 to 18, both inclusive- and in the Regulations regarding the Annual General Shareholders’ Meeting. No minimum number of shares required to be able to attend the Meeting. Representation on the Board by any person, without the need to be a shareholder. Separate voting on each one of the matters submitted for approval at the Meeting. External audit of the management processes of the Shareholders' Meeting. Board of Directors remuneration submitted for approval at the Meeting. Promoting the participation of shareholders in the Meeting via the implementation, since 2005, of the electronic voting system. Creation of a specific section on the corporate website with all the relative information regarding the Meeting. Percentage of attendees at the Annual General Shareholders’ Meeting 2019: 63.1% (percentage over share capital). In 2013, an audit of the management processes and results of the votes taken at the Annual General Meeting was carried out for the first time. The audit report, prepared by an external consultant, concluded that the processes for the calling, preparation, counting of shareholders, voting and adoption of resolutions of the Meeting were fulfilled in their substantial aspects in accordance with the provisions set out in the procedures established by the Company to this end.